Girl, let’s keep it real, there is so much pressure on us about our bodies! It’s screaming at us from every direction, and everyone, including that mean girl in your head. Every look in the mirror brings a inner voice of judgement about our physique, and the analyzing scans of our body by another person wash us with an ugly insecurity. Too fat, too skinny, too tall, too small, to wide, too much cellulite, too many stretch marks, and please let us not forget those ever pesky flapping underarms as we wave goodbye to our loved ones. Oh sweet beautiful, it’s exhausting! So here’s the deal, you are beautifully and wonderfully made in the image of God; and you sweet lady are gorgeous. You are worth far more than rubies, and your self worth is not dependent on your physical body. I tell my sweet daughter all the time, “Kloey, your beauty comes from the inside, not the dress you’re wearing, it’s the light of the Lord that makes you shine beautifully.” It’s the truth, Charm is deceitful and beauty is vain, But a woman who fears the LORD, she shall be praised. (Proverbs 31:30) That good ole saying, True Beauty Comes From Within, is a powerful truth sweet friend. I believe in working out and getting my sweat on, not because I’m on a mission to be skinny. I workout because I think it’s a life-line of being a Mom of Adventure and Grace. Working out gives us mental and physical strength and health. I’ve worked out so many of life’s battles on the gym floor; sweating, punching, running, and bicycling. There is really nothing like putting on pink boxing gloves and hitting the bag when your feeling frustrated or even sad, it just brings out a fight in you, it’s strengthens your perseverance to push through life’s obstacles! It’s powerful ladies, and it’s amazing what an hour of hard physical exercise can do for you, the release of endorphin’s is a natural high that fights stress and depression! Physical exercise is like God’s little happy pill for us, and He gave us these feel-good neurotransmitters for a reason ladies, don’t let them go to waste! Newton’s law is a theme song in my life, “A body in motion, stays in motion”. When we are physically fit, and working out regularly, our body has more strength and energy to enjoy our adventures. It’s about being the strongest, healthiest you, so you can fulfill your call in life to the fullest. Maybe for you it’s going on walks with your children, hikes with your husband, spin class with a girlfriend, hiring a personal trainer, workout videos in your living room, or even starting physical therapy for your injuries or illnesses. Whatever it is, commit to it! Start enjoying the benefits of endorphin’s and the peace of mind and physical strength that comes with exercise. I know consistent exercise has helped me be a more joyful and energetic mom and wife. I’m no longer on the side lines watching my kids laugh and play, I’m running right beside them…or hiking, swimming, biking, dirtbiking, playing soccer or basketball with them. My personal journey to a more healthy life has included my dear trainer, Mena at MRI Fitness. She is a motivational blessing, and frankly, I need to be yelled at to be motivated in the gym 😉 She says it best, “Life’s adventures deserve your very best physical and mental being. Exercising and eating healthy are the most important aspect of making that happen. It’s not just good for the body, but good for the soul as well.” Mena, is a rock star mom and wife, and inspirational to so many of us! 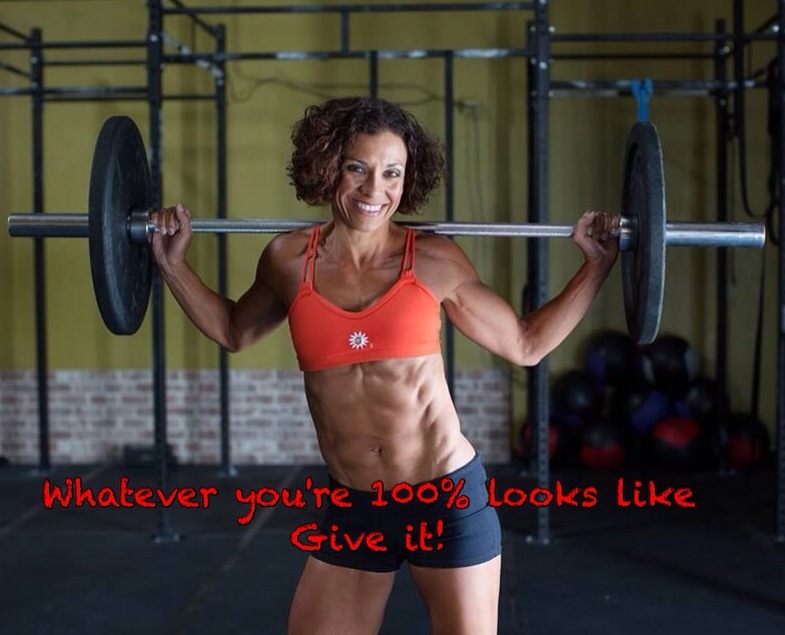 Mena Spodobalski, Trainer, Wife, True Mom of Adventure and Grace! This is sssssoooo 100% true thanks for sharing!!! See you at the gym to leave some more sweat on the floor.